Waking up to natural sunlight is not just a nice way to wake up, it actually inhibits the release of the hormone melatonin, which keeps you less alert, and helps you get up faster. Forcing yourself out of bed first thing in the morning to open the curtains first, however, is another matter. Mornin’ is a welcome invention to anyone who makes a habit of hitting the “snooze” button. This Bluetooth-controlled device clips onto the curtain rail (the kind with tracks) and will pull open a curtain at whatever time you set it for via a smartphone app. The app, which can be set different daily opening times, can control up to four Mornin’ devices, so it can be used for more than one room. Mechanically, it is pretty simple: Set on rollers, it’s hidden behind the curtain, which it literally pulls it with it when triggered to move. When Mornin’ was released in July, it was such a popular idea that its first batch of 1,000 sold out in just one day. Mornin’ costs ¥3,985 and can be purchased via amazon.jp, while the app is available on iTunes Japan. It needs three AA batteries that will last for about five months. 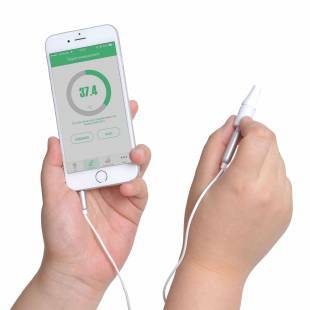 The Earphone Jack Thermometer by Thanko is a handy little device if you like to keep an eye on the weather, or need to track the temperature of something specific. 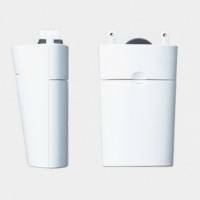 A small earplug-sized gadget, it just slots directly into the earphone jack of an iPhone of iPad. As a “non-contact” thermometer, it can take the temperature of items from up to 2 centimeters away, and it only takes a second to do so. The dedicated app also allows users to make a log of temperatures taken, which can be checked on an Excel sheet. This may sound like an unusual tool to have, but it can be particularly useful to mothers who need to check the temperature of milk or foods, as well as a handy device for cooks or home beer brewers. Available via the Thanko webstore, the Earphone Jack Thermometer is priced at ¥6,980. Removing a stain on an item of clothing is sometimes a laborious task. Usually, it means having to hand wash the mark and then run the whole item through the machine again. Sharp, however has come up with a “portable washing machine,” designed to treat stains directly. The UW-A1 by Sharp is just 4 by 4 centimeters wide and 16 cm tall, and uses ultrasonic vibrations to help push marks out of clothing. 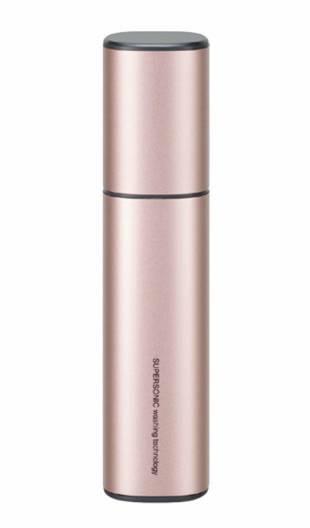 Designed to be used like a fat pen, it’s a hand held, cordless and rechargeable device. All you need to do is soak the stained part of clothing in the sink or tray of about a centimeter of water and then run the tip of the device over the mark. The tip vibrates at 38,000 times per second, which creates tiny bubbles that push the dirt out of fabrics. According to test runs, the UW-A1 can remove shirt-collar stains in around one minute and it is far gentler on fabrics than rubbing them with a stain-remover. 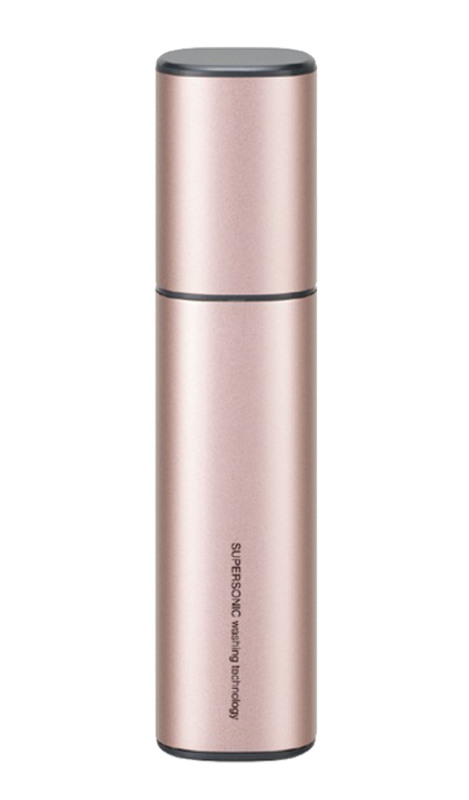 It comes in silver, pink and gold and is available from most large electronics stores for around ¥15,000.